Looks like the Bros might not get out of this one. A horde of skeletons bears down on you and three of your Bros (or Broettes), cutting you off from a brisk escape. Behind them, a mad necromancer cackles from beneath a rippling sphere of protective energy. That is, until the light from a nearby fire disperses the shadows beneath your helmets, revealing four cocky smiles. Your axes and hammers swing mightily, shattering bone and sending cartilage flying into the night as you brawl your way toward the now-cowering villain. All the while, screeching guitars send word of your badassery into the heavens above. Or that’s how it should feel, anyway. 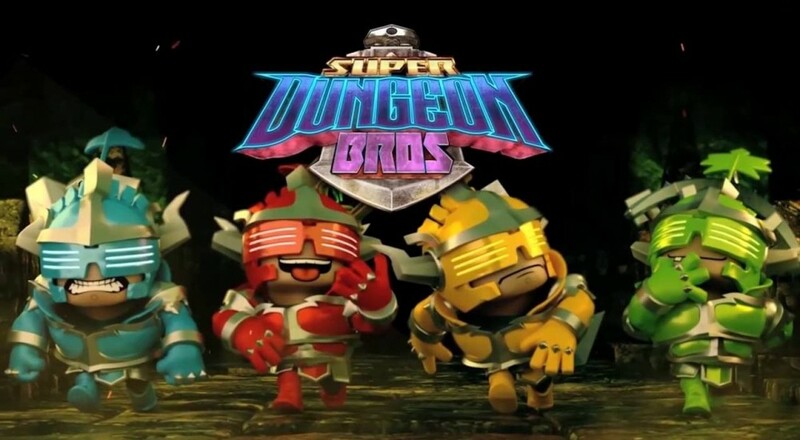 Unfortunately for Super Dungeon Bros, the hordes of skeletons prove more annoying than challenging, weapons impact bone with the weight of a limp noodle, and the wailing guitars are more muzak than Metallica. Like many gamers, I’ve spent much of my playtime over the last few years on titles in the “indie” scene. Having experienced the full spectrum of quality over this period, it’s become more and more clear that the vast majority of projects already contain the components necessary to both provide a solid product and push the boundaries of their respective genre. Of course, possessing those components and then recognizing and capitalizing on them are two entirely different prospects. 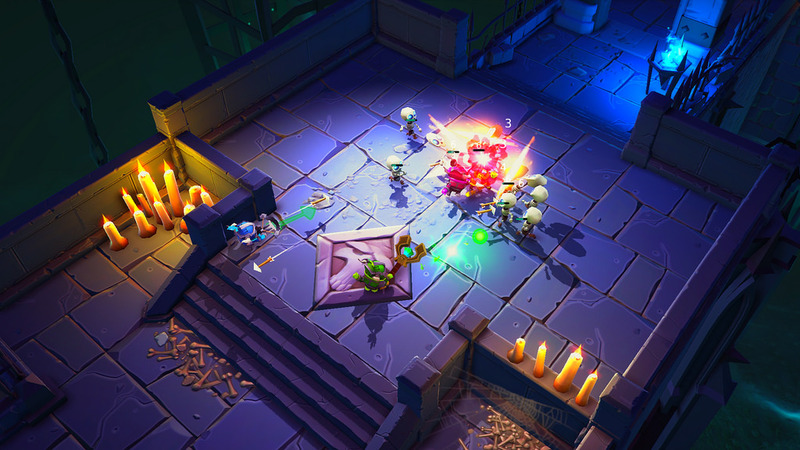 For Super Dungeon Bros, it’s fairly simple to identify these aspects in the “heavy metal” aesthetic, the roguelike qualities, and the Gauntlet-esque combat. As you’re probably assuming at this point, none of them quite receive the necessary attention. For a game so purportedly influenced by the likes of Iron Maiden and Metallica, SDB mellows from its initial tone astoundingly quickly. While the title screen features the expected chugs and wails of an electric guitar, launching an initial excursion into the game’s dungeons removes the brütal veneer, replacing it with disappointingly generic battle music. It turns out that if you’d like to, in fact, play the game while listening to anything resembling heavy metal, it’ll cost a little extra. Normally, this type of gripe isn’t significant enough to hinge a review segment on, but when the playable male characters are named Axl, Ozzie, Lars, and Freddie, you tend to expect a little dedication to the cause. More importantly, though, it’s indicative of the game’s attitude toward the rest of its potential selling points - a simple lack of follow-through. In so many cases, merely sticking to its guns would’ve made the game, if not a groundbreaking experience, then at least a quality product. Page created in 0.3670 seconds.